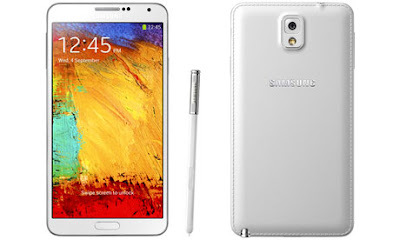 ilulz Blog: Samsung Galaxy Note 3 is finally out! The Galaxy Note 3 was unveiled this Wednesday. It has a soft leather-like back, where it gives you the feeling that you are holding a fancy leather-bound device. Camera Main (Rear): 13 Mega-pixel BSI Sensor, Auto Focus camera with smart stabilisation. S Pen Command: Action memo, scarpbook, screen write, S finder, Pen window. Optimised S Note, Multi window, new easy clip, direct pen input. Additional Group play: Share music, share picture, share video, share document, play games. Features Story album, S translator. Samsung smart scroll, samsung smart pause, air gesture, air view. S voice hands free, S health. Samsung adapt display, samsung adapt sound, auto adjust touch sensitivity. Mobile hangouts, voice search, YouTube, google settings, play games, messenger. It is said that it will be released in UK in September 25, but no words are yet revealed on when this device will be available for the Middle East! So what do you think guys, is it what you were expecting? Will you buy this device or not?